Originally utilised as waterdogs by the name Saint John’s breed of waterdogs, the Labrador Retriever is a favourite family pet. It has short limbs with easy-to-care short, dense double coat and an otter-like tail. The Labradors are good-natured and friendly dog breeds who are friendly to everyone. Because of their affectionate nature, they are not good guard dogs. The Labrador is known as a do-it-all kind of dog breed due to its versatility. The average lifespan of Labrador Retrievers is between 10 and 12 years. Are you thinking of getting a Labrador Retriever? Here is a brief background of this intelligent and sweet-natured dog. The Labrador Retriever originated from the island of Newfoundland, Canada during the 16th century. It was originally called the St. John’s water dog and was used as helpers of local fishermen. They retrieved fish that escaped and pulled in nets from the water. It is believed that St. John’s dog was crossed with the Newfoundland dog and other local water dogs. The dogs were then imported to England as retrievers for hunting in the 1830s and its name was changed to Labrador Retriever. In the 1880s, the Labs almost became extinct because of strict government restrictions of tax laws in Newfoundland. The good thing is that the Malmesbury family and other enthusiasts helped save the breed in England. The breed was officially recognised by the Kennel Club in 1903 and the American Kennel Club in 1917. Labs are agile dogs that stand 55 to 57 centimetres at the withers and weigh 65 to 80 pounds. It has a broad skull with a pronounced stop, medium-sized brown eyes and small ears. Since it was bred to as a working retriever, it has an athletic and muscular body. It comes in yellow, black and chocolate/liver. The breed’s coat is composed of a short and dense topcoat and a soft and weather-resistant undercoat. Its two-layer coat is perfect for cold and wet environments, which is helpful for its retrieving roles. It is important to brush Labs daily as they shed heavily. Baths can be done every two months or as needed. More active dogs need to bathe more frequently especially if they are more adventurous and love rolling in mud. Regularly trim nails if they get too long. Clean ears and make sure to wipe moisture with dry towels, or it can be a breeding place for bacteria that will cause infection. Don’t forget to brush the teeth twice or thrice a week to have good oral health, also make sure to use toothpaste for dogs. 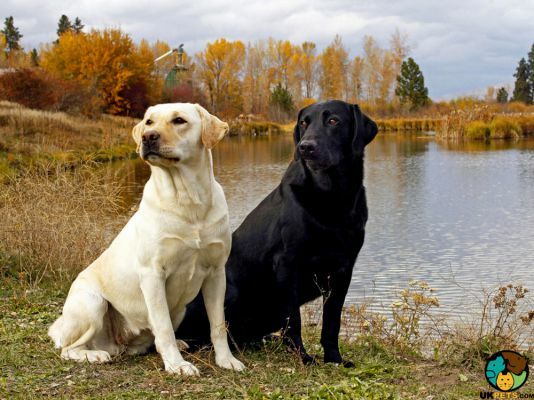 The Labrador Retriever is a famous breed mainly because of its sweet nature and intelligence. Many dub it as an angel for its ability to make people happy. It is friendly towards humans and other animals alike. It loves kids and has a lot of patience for them. As much as it wants to please its owners, it is not a good guard dog because of its affectionate nature. It is important to remember that Labs need to be with family inside the home. Like other active breeds, Labs that are left alone for long periods will find something to do and become destructive. With its intelligence and eagerness to please, Labs are easy to train especially if you start them young. In fact, they will thrive in agility and obedience competitions. 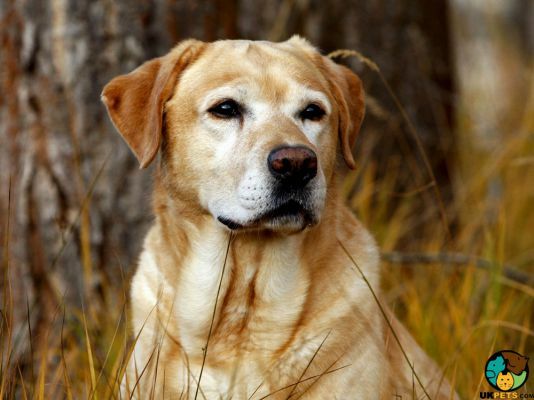 The breed is usually trained as a good therapy and assistance dog, search-and-rescue canine and retriever for hunters. Some owners think that since Labs are generally smart and well-behaved pooches, they do not need to be trained. Any type of dog needs to learn basic commands and manners. Labs are great family pets because of their outgoing and friendly nature. 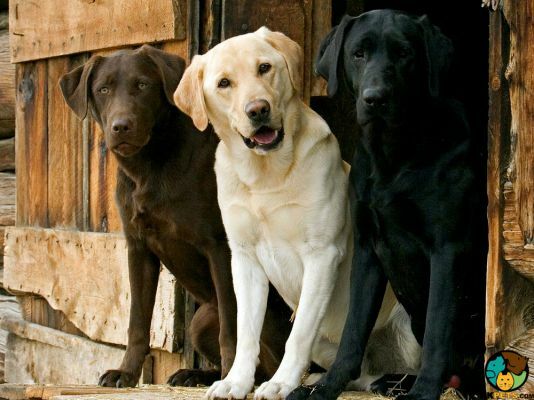 However, it does not necessarily mean that all Labs are the same. Any dog breed without training and proper socialisation may exhibit negative temperament especially those with a history of abuse. Make sure to get a purebred Labrador puppy from a reputable breeder. If in case of adoption, be sure to know its history so you will know how to handle its personality and tendencies. A typical serving for an adult Labrador is 2.5 to 3 cups cups of excellent quality dry dog food per day. As a breed, it has high energy needs and nutrient requirements. However, the amount of food depends on its age, size, build, activity level, and metabolism. It is advisable for pet owners to take into consideration the basic nutritional needs of breeds. Since every dog is unique, they should also pay attention to their dog’s individual needs. Labs are active working dogs so they require more protein and less carbohydrates to support their energy needs. This means that their diet should be composed 80% meat and 20% vegetables. They will also thrive on a grain-free diet. Most adult dogs do well with once-a-day feedings. Labs are prone to bloat so their meal should be divided into two. Labradors are generally healthy dogs but can be predisposed to certain health conditions such as Hip, Elbow and Tricuspid Valve Dysplasias. They are also prone to have Cataracts, Progressive Retinal Atrophy, Osteochondrosis Dissecans, Myopathy, and Gastric Dilatation-Volvulus. Labs that often go to the water can get ear infections and Acute Moist Dermatitis. 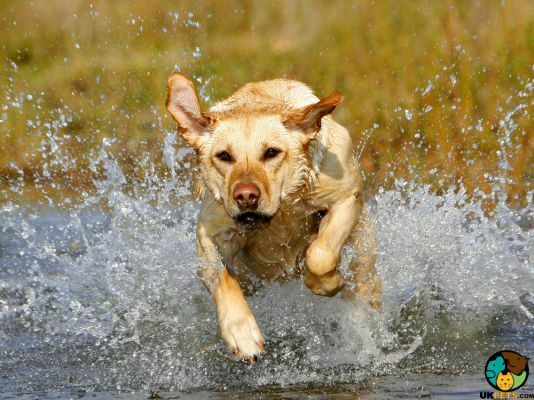 As a working breed, Labradors are active dogs that need plenty of exercise. Gentle walks are not enough especially for more active ones. They were bred for physically and mentally demanding jobs so they need at least 1 hour of stimulating exercise. This can be in the form of running, playing fetch or swimming. They easily put on weight when they are inactive so make sure you come up with an exercise schedule. Owning dogs are generally expensive, that is if you plan to be a responsible dog owner. Responsible dog ownership includes having the financial capacity to feed your dog, buy those toys and necessary equipment (beds, collars, leashes, bowls etc. ), and take them to a veterinarian for health checks. All these costs to consider throughout its lifespan of 12 years is not cheap. In an estimate, owning a Labrador Retriever will cost roughly around £27,100 - £30,800 in its lifetime. However, this does not include pet insurance costs, which depends on the type of coverage. Basic insurance coverage £23 while a lifetime policy will cost you £50. For a Labrador, you might want to get a lifetime policy with higher coverage. Labradors are known to be an expensive breed due to its long-term hereditary health conditions. Labradors are reliable and trustworthy dogs, which make them excellent family pets. They are good-natured and friendly with people but lousy guard dogs. Labs are very sociable, which means they are great around other animals. They are very easy to train since they’re very agreeable. Labs can be a bit enthusiastic, bouncy and naughty. They are known to be the most versatile dog breed.